Perhaps cats instinctively realize that running water is more likely to be safer to drink than a still pool of water. Cats have great peripheral vision but have trouble seeing what’s directly in front of their noses. 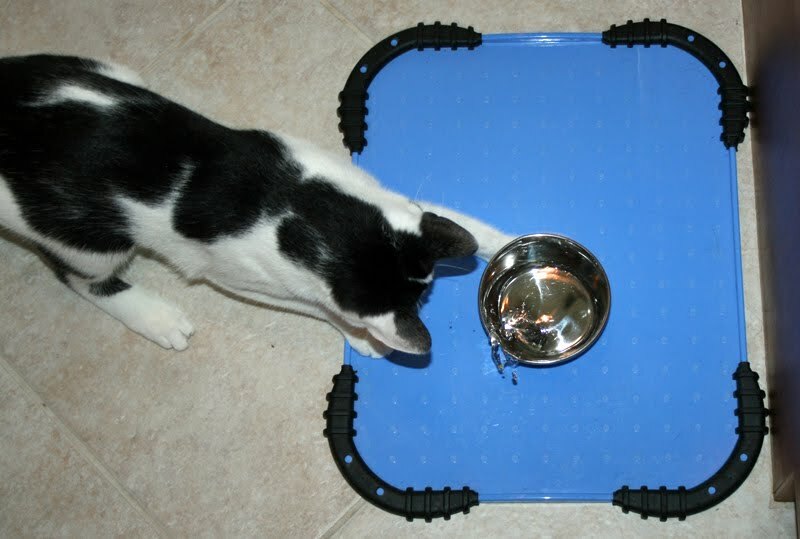 While cats may have trouble judging the depth of a bowl of still water directly in front of them, they are great at detecting movement, so running water may be easier for them to see. Running water probably tastes better to your cat as it has more oxygen dissolved in it. Regardless of the reason cats prefer running water, getting adequate water intake is important for your cat’s overall health, and to maintain a healthy urinary tract. Cats are desert animals designed to get their necessary water from the prey they eat. Many pet guardians feed their cats dry food which has water content of about 10%, compared to approximately 70-80% in most canned food. Cats that eat a dry kibble diet rather than wet food will drink more water to compensate, but still run the risk of becoming dehydrated. Anything you can do to encourage your cat to drink more water will help. 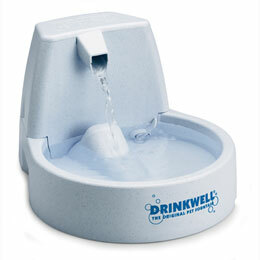 The running water in a drinking fountain will usually result in an increase in the amount of water your cat drinks. A drinking fountain re-circulates and filters the water, making it fresher-tasting and encouraging your cat to drink more. Because the water in a drinking fountain goes through a charcoal filter to remove odors and impurities, it is healthier for your cat than stale water that has been standing and collecting debris. Also, a pet water fountain will provide the running water that your cat prefers without the wastefulness of leaving your tap running continuously. You know that a glass of water that has been sitting out all day doesn’t taste as good as a fresh glass drawn directly from a filtered tap. Because cats have a much more well-developed sense of smell than humans, doesn’t it make sense that your cat would appreciate fresh drinking water, too? An added benefit is that many pet guardians find the sound of a gently gurgling pet water fountain to be soothing.